The most common securities many individuals are familiar with are stocks and bonds. According to Gabaldon and Soderquist (2011) the courts, however, have acknowledged all types of investment schemes, including some that relate to earthworms, chinchillas, and warehouse receipts for Scotch whiskey, which can also involve a security. People that invest in securities learn to become familiar with security laws to avoid violating them. It can also help them determine whether a transaction is a legitimate security based on concepts that are completely foreign like those mentioned here (Gabaldon & Soderquist, 2011). In other words, understanding security laws may help them learn how to profit from them, plus, it can also serve to protect their investments. In addition, regulation allows for fair competition in the marketplace. For example, consider a private California university that wants to issue “shares in learning” certificates; are they required to register the stock they offer with the Securities and Exchange Commission (SEC)? Federal laws mandate that securities are registered before they go up for sale. Companies are expected to file the paperwork with the SEC and the Supreme Court determines what securities constitute an investment contract. In order to be considered an investment contract: (a) it must provide an investment opportunity, (b) establish a common enterprise, (c) provide an opportunity to make a profit, and (d) the returns are derived from the management of others. In addition, the registration process must include detailed information on the provisions of the security offered, including the corporation’s properties and business, the company’s management team and their compensation, security holdings and benefits, a certified financial statement by an independent accounting firm, and any pending lawsuits the company may be engaged in. There are, however, exceptions to registering securities before they go up for sale. For instance, the SEC exempts securities that are issued by banks prior to July 27, 1933 or any securities issued by the government. In addition, securities are exempt if they have been issued by nonprofit organizations including religious, charitable, educational, benevolent or fraternal organizations (Seaquist, 2012). Based on this information, the private university in California, therefore, would be considered exempt, and not required to register with the SEC because it falls under the category of a nonprofit educational organization. Regulating securities is an extremely complicated matter. Hazen (2009) contends that it is particularly perplexing because of the degree of detail and difficulty in elaborating both federal and state laws. Although originating is a matter of state law, the majority of regulation for securities falls under the jurisdiction of the federal law (Hazen, 2009). In other words, dealing with federal securities regulations is usually a difficult task that requires the consultation of several sources for efficient management because of the complexities involved. With respect to the stocks issued in from the private California university, according to Seaquist (2012) the Securities act of 1933, Rule 504 of Regulation D states that non-public issuers are permitted to sell up to one million dollars of securities in a twelve month period to any buyer. 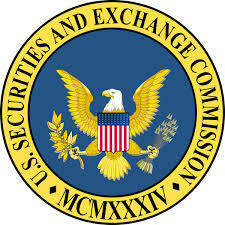 Under Rule 147, regulations also state that securities offered for sale by an organization that conducts 80% of their business in one state, are also exempt from filing (Seaquist, 2012). Given this information, one can conclude that the private university in California would be exempt from filing with proof the institution meets the following criteria: (a) it is a nonprofit educational organization; (b) the amount offered does not exceed the maximum value mandated in Rule 504 of Regulations A and D, and (c) they conduct most of their business in California where their facilities are located and students attend classes. In conclusion, because of the complexities involved with security laws, it is best to check with a legal consultant to determine exemption status. Gabaldon, T., & Soderquist, L. (2011). Securities Law (4th ed.). New York, NY: Thomson Reuters/Foundation Press. Hazen, T. (2009). The Law of Securities Regulation (6th ed.). St. Paul, MN: West Publishing.